or whatever your preferred currency happens to be. 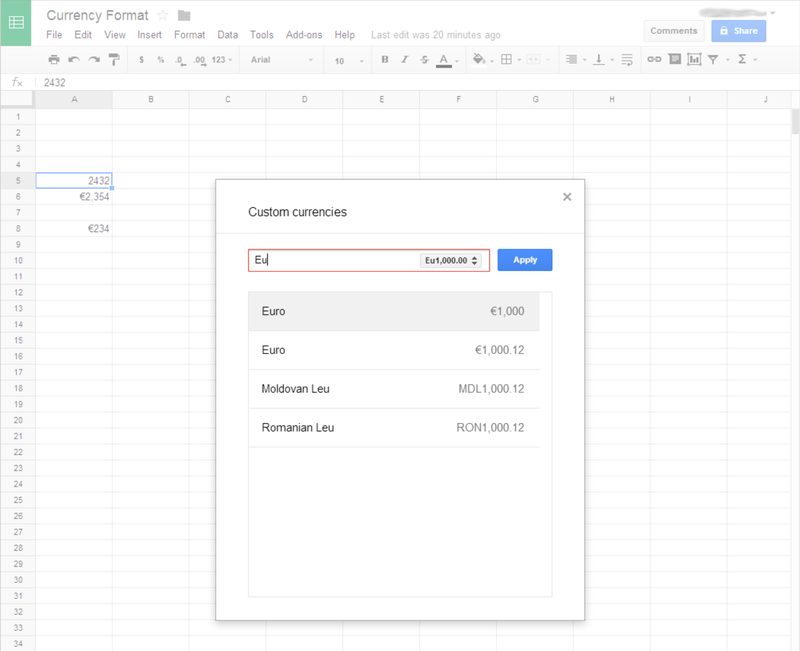 Google now offers numerous options: the symbol (€) or the code (EUR), position before or after the amount (this is language, not currency dependent; in English, currency symbols go before the amount), and rounding. Previously, most of these variants would have required writing custom Apps Script code. This makes subsequent use of a given format much simpler. Unfortunately, recent formats are only remembered in the context of a given spreadsheet. You’ll have to repeat the above steps for each new sheet you wish to format.. 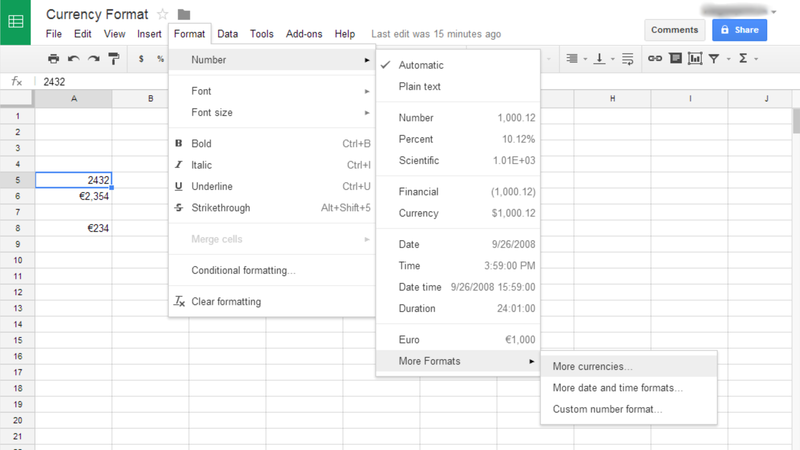 Ideally, I’d like Google to remember recent number formats across sheets. 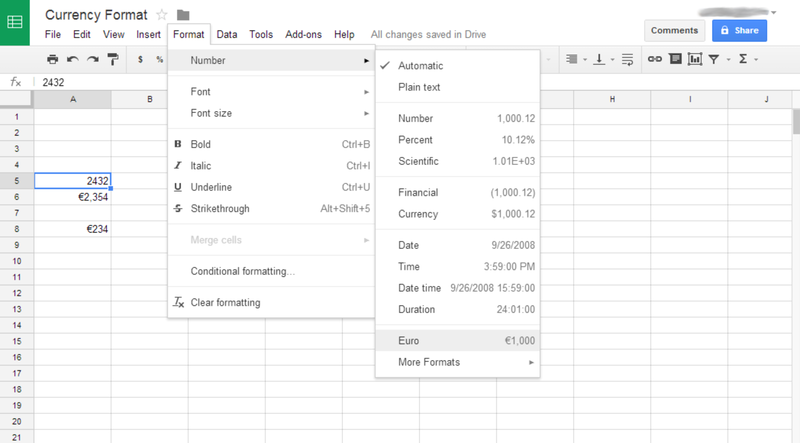 This functionality eliminates the need for writing custom number formatting functions in Google Apps Scripts, as I showed in my previous post – although that can still be convenient in some circumstances, or for older Google Spreadsheets. 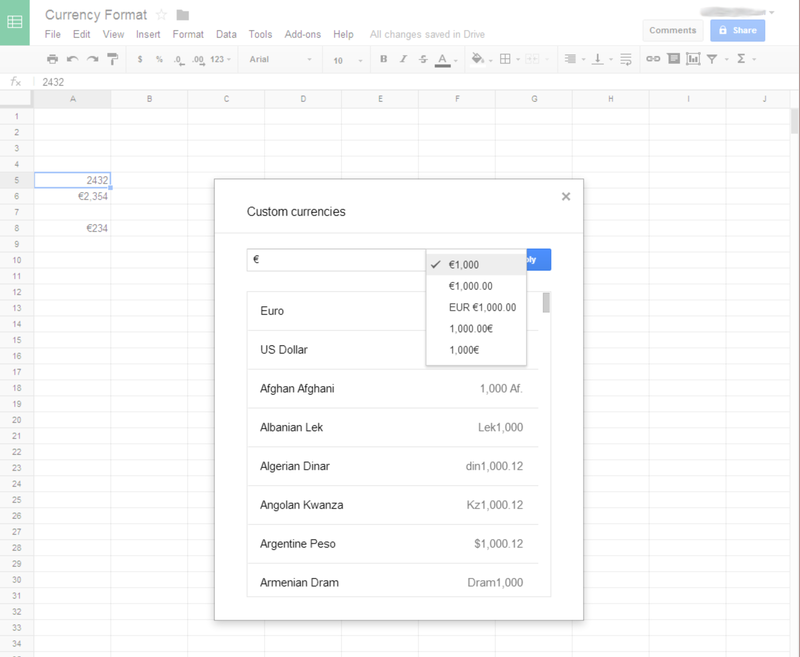 There’s not (yet) a way to automatically convert an old Google Spreadsheet to the latest version; you need to copy content out of the old version, into a new one. This entry was posted in App Script. Bookmark the permalink. ← Is Amazon Web Services “too big to fail”?